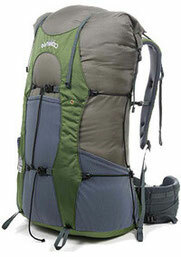 With respect to backpacks, every hiker faces the issues of base weight, capacity, and comfort. Many thru-hikers discover that as they lose weight their pack stops fitting correctly, and Florida Trail thru-hikers have to contend with extra ordinary moisture and heat trapped between their back and the pack. 1) Weight. To keep base weight low, only consider packs that are 3lbs or less. This disqualifies external frame packs and military rucksacks. 2) Capacity. To carry everything necessary for a thru-hike, including a week’s worth of food, the sweet spot for backpack capacity is 3500 – 4200 cubic inches (57 – 65 liters). We strongly discourage you from buying a pack outside this range. Smaller packs are certainly lighter, but do not have the suspension necessary to comfortably carry heavy loads, like when you resupply and leave town with a week’s worth of food. Plus, their smaller capacity tempts people to leave out essentials. Bigger packs certainly have excellent suspension systems, but they are much heavier (5-8 pounds) and their greater capacity tempts people to bring extra stuff they don’t need, increasing base weight even further. 3) Suspension and Support. In order to properly transfer the weight of the pack to your hips, rather than have it all rest on your shoulders, the pack needs to be supported by a frame. Frameless packs simply are not comfortable for long periods of time without having an extremely low pack weight. After considering the FT’s wide temperature fluctuations, the need for a fully-enclosed shelter, and long distances between resupply points, we’ve concluded that pack weights below ten pounds cannot be achieved on a FT thru-hike without sacrificing safety. 4) Comfort & Fit. Nothing is more important than your pack’s fit, even weight. The more adjustable a pack, the better the fit. The ability to change the pack’s torso length and shoulder width by adjusting the shoulder straps is crucial to a properly fitting pack. In order to reduce weight, manufacturers sometimes eliminate these features, making the shoulder straps fixed. We recommend avoiding these packs unless you can visit an outfitter in person and ensure the pack fits you comfortably. 5) Shrinking Waist Line. Thru-hikers can lose a lot of weight during their trek, which causes their pack to stop fitting correctly. Rather than torso length and shoulder width, the issue is hip size. The ability to swap out the hip belt for a small size is important. Frameless packs rarely have interchangeable hip belts, another strike against them. 6) Moisture and Heat. Backpacks need to be made from materials that won’t absorb water and dry quickly when wet from rain. This disqualifies military rucksacks, which are made from cotton. Florida’s humidity and high temperatures also mean your backpack can trap an extra ordinary amount of moisture and heat against your back, causing heat rash. Any properly fitted and balanced pack should ensure some air circulates between the pack and your back, but certain designs allow more air flow than others. 7) Durability. If you go bushwhacking and tear the pack on thorny bramble, that’s on you. But otherwise a pack should last the entire thru-hike and beyond without a seam tearing, a strap breaking, or a zipper malfunctioning. This means simpler is better—the fewer zippers, clasps, compartments, and do-dads on the pack, the less chances of something tearing or breaking. Just two backpacks on the market meet the criteria listed above and satisfy our desire for high quality at low cost. Seven other backpacks came close but disappointed in one or more categories. The follow-up to Granite Gear’s popular Vapor Trail, the Crown VC 60 is one of the most popular backpacks for thru-hikers and it’s our top pick. It has everything a thru-hiker is looking for: low cost, exceptional weight to capacity ratio, back ventilation with air channels, fully adjustable torso, interchangeable hip belts, excellent compression system, comfort, durability, and quality. Plus, it’s female friendly: all Granite Gear packs come in an alternate “Ki” version designed for women, with hip belts and shoulder straps designed for a woman’s figure. It’s perfect for the AT or PCT as well since the top opening is wide enough for a bear canister and there are ice axe loops. The pack will last years—possibly a lifetime. Our founder and managing editor used the same Granite Gear Nimbus Ozone (an older discontinued model) on his AT, PCT, and FT thru-hikes and not a single stitching has come out, nor has the material torn. After a decade of intense use it’s still completely solid. Surprisingly, it is the least expensive pack meeting our criteria, making it the best value. Plus, because it is also the only ultralight pack available at REI and other big retailers, you can try it on in the store and get it for an even lower price during a seasonal sale or with a member’s only discount. The ULA Circuit is also one of the most popular backpacks for thru-hikers, along with ULA’s Catalyst, OHM and CDT. We love it because of its weight to capacity ratio, interchangeable hip belts, comfort, external storage for wet gear, durability, and quality. Plus, it’s female friendly, with shoulder strap options to fit a woman’s figure and multiple hip belt sizes for a custom fit. If you plan to hike the PCT after the Florida Trail and are looking to use the same pack for both treks, then we recommend going with the ULA Catalyst, which is better for holding a bear can and more comfortable when carrying the heavy loads of water necessary in the desert. ULA was founded by a PCT thru-hiker and for many years was based out of his garage. All ULA packs are made in the USA and cost the same or less than packs mass-produced overseas. They have a reputation for strong customer service and will work with you to get the right fit, which is crucial since ULA packs aren’t found in many stores and so you’ll probably have to buy one online. Because of the presence of hunters along the FT we recommend that at minimum you wear a blaze orange hat. For additional safety (especially during road walks) you could also get Granite Gear's ultra-light Cloud Cover packfly in bright orange, which is the only pack cover we have found available in orange. That said, we have never seen a pack cover keep a backpack completely dry. Water always pools in the bottom of the pack cover and soaks into the bottom of the pack. Covers also do not protect the part of the pack against your back, providing water with another point of entry. If you are dissatisfied with pack covers, you might seam seal the backpack's stitching and spraying it with silicone waterproofer. 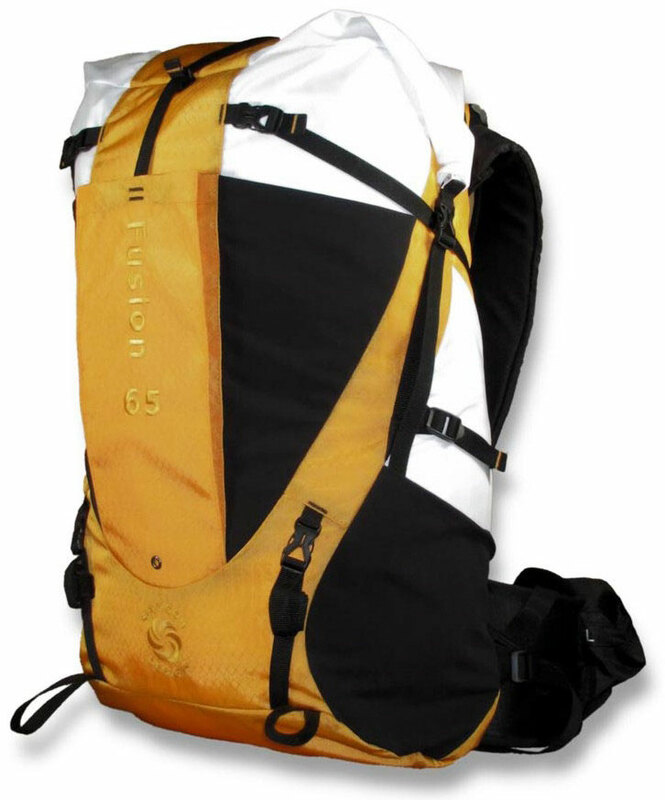 Another option is to put an oversized sil-nylon stuff sack inside the pack, and then place your gear inside that. This adds about 3 ounces, which is comparable to the weight of an average pack cover. With heavy rain a certainty on the FT, the thru-hiker is stuck between the choice to keep gear completely dry or the choice to make themselves more visible to hunters and motorists. We added "top lid" to our list of disappointments above, and this may surprise some readers. Internal frame backpack designs from 20-30 years all sport a zippered lid pocket. People like to stash small items like sunglasses, sunblock, bug spray, snacks, and rain gear in them, but the lid adds a significant amount of weight with only trivial convenience benefits. The lid also leads to a smaller main compartment opening, which makes fitting a bear canister harder. 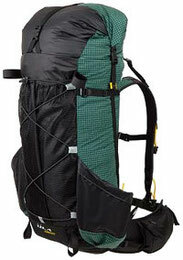 Finally, lids make it difficult to use the compression system to expand or shrink the pack’s capacity. For all these reasons, most lightweight backpacks have ditched the lid in favor of a simple roll-top closure, and we recommend avoiding packs with lids.